One of the worst things to happen on a job is simply not having the right tools when you need it the most. Long, extended delays can cause endless problems, and it is vital to be able to act fast when you need it the most. Our selection of spanners and socket sets consist of only the best quality products, designed to cover all situations. Spanners or wrenches are tools for turning and tightening a nut, bolt or similar fixing. Made from steel and finished in chrome polish that is protective. Sockets are also similar fixing tools for special types of screws. Tools may range from an extremely simple to a much more complicated design, but there is no substitute for the basics. Our spanners or wrenches come in a selection of sizes, each designed for a certain fitting. Made of steel, they have been designed to withstand the toughest pressures and get the job done quickly and efficiently. We are also a stockist of Draper products, providing a high quality name that you can trust. We stock a selection of both single and multisets of spanners as well as multiple socket sets. These are something well worth investing in, as they offer great value for money and will last for many years to come. The convenience of having various options on hand when working on a job will become obvious the second you really need them. 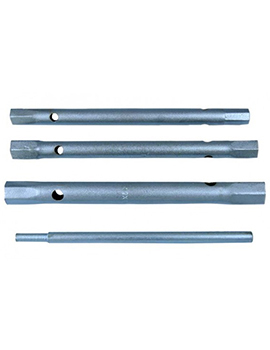 In this section, we also offer a choice of torque wrenches, for use with bolts or wheel nuts. Constructed to the highest and toughest standards, these provide an increased and stronger grip when tightening or loosening connections. They will allow you to apply a specific amount of force (torque) when required, taking the guesswork out of an awkward job and avoiding the use of an incorrect tool. When deciding on a purchase, look for the requirements of the job at hand. At Buildworld, we feature both big and small sets for individual needs, but we also feature smaller sets, for those who don’t require every size possible. The sets come in a tough, robust and handy carrying case, allowing the individual sockets to stay organised and easy to grab when required. Please check the individual descriptions for each set before purchasing.